Russia's regional inequalities are among the most significant across emerging markets. In their study, World bank economists undertake an in-depth analysis of the factors behind high inequality as well as the possible solutions to attenuating these imbalances. 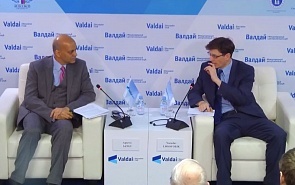 On January 28, the Valdai Discussion Club hosted an expert discussion, dedicated to the reduction of regional imbalances in Russian economy. The topicality of the discussion is magnified by the rising number of economic initiatives of the Russian government designed to deliver a greater growth impulse to Russia's regions. Among such initiatives are plans to introduce KPIs for regional governors with respect to investment growth as well as the dynamics in the housing construction sector. What are the international best practices of regional economic policy directed towards reducing regional imbalances? What are the success cases of economic growth across Russia's regions and improvements in investment climate? These questions will be faced by the participants of the discussion.